With less than 20% still to go until her fundraising target of £8,200 is reached, Anita has completed her involvement in the Clipper 13-14 Round the World Yacht Race. Please join her for another wonderful Indian Dream meal to help raise funds and to hear all about what it was like to be a crew member on the winning boat, Henri Lloyd. Monday evening 10th November 7:00pm for 7:30pm. Just £20 for a 2-course meal. There will be a raffle as well with prizes donated by local businesses. What could be better? Bring yourself and a few friends. There’s free local parking in Dovehouse Parade as well. The restaurant will be serving a full menu, but you benefit from the fixed ticket price, whatever you order (apart from King Prawn dishes!!). Their menu does include English food so rest assured that you can still come and support us even if you don’t eat Indian food. Please note that no drinks are included within the £20. 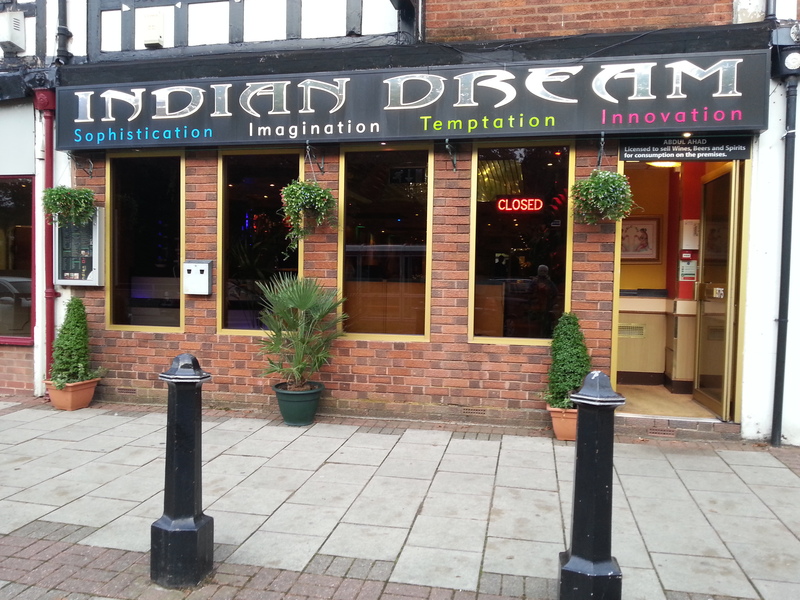 If you weren’t lucky enough to come to the last Indian Dream meal – see what you missed!